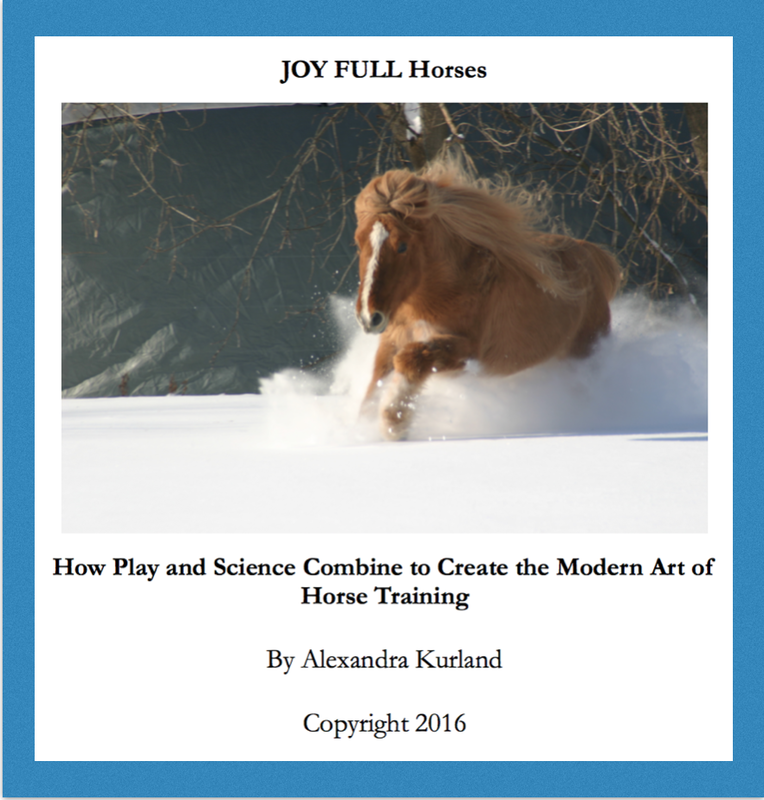 This entry was posted in JOY Full Horses and tagged Affective Neuroscience, Alexandra Kurland, animal emotions, Animal Intelligence, Animal Wise, Bob Viviano and Crackers, Clicker Training, Clicker Training Horses, emotions, Jaak Panksepp, Karen Pryor, Play, Stuart Brown. Bookmark the permalink. I’m hooked! Where and when can I get the book? It seems you always validate me in some struggle I am having. From worrying about my training sessions not being fun, (wondering if Lance will ever find human interaction fun?) to the way my brain works to remember things like Stuart Brown’s name. I thought I was the only one who makes those kind of connections. Can’t wait for the next installment and the book! Thanks Jan. That’s good reinforcement for bringing out the next installment. Grace would jump over any puddle and showed me very early in the had a great leap and ability to jump far from a standing start. But walk through – never!!! So any time she put her muzzle to smell or investigate water this was jackpot reinforced. So I started to walk through puddles, stomp in puddles,jumping up and down and gradually she became mire and more relaxed around puddles water etc. Spent time recently watching the horses from the gate and noticed she was in the rather large muddy puddle with several of her friends splashing, these memories and your article Akex reminded me if how much fun I had had stomping un puddles whilst trying to get het relax around them and seeing her now ears pricked forward, head high, and just stomping for all she was worth just how much fun she was having too with het friends. Yes no longer fearful of water, but along the way bought out the play in me and it was a joy watching het play too. No set in stone training schedule, but opportunity leading her from A to B on daily routines and I swear others thinking me crazy jumping in a puddle and because she had stayed relaxed!!! Your comment reminded me how much fun it is to splash through puddles. We all did that when we were little. And I have certainly splashed through puddles with my horses just as you described. It’s good to remember these simple things that bring so much laughter.